Have you heard of the phrase, “Biological dentist” but aren’t quite sure what it means? 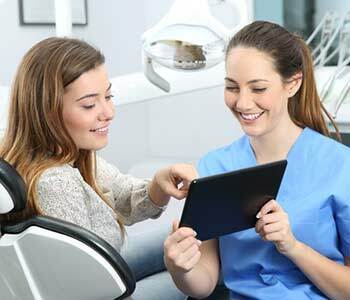 Many people living in the zip code area of 28607 wonder the same thing, which is why we, the team at Virtue Dental Care, want to take some time to explain this emerging dental field that has gained great momentum over the last few decades. Biological dentistry is a focus or method of dentistry that is based upon the relationship of oral health to the rest of the body. Simply put, the diseases and problems that occur in the mouth can have an impact on our overall health. Whereas traditional dentistry places a great deal of focus on fixing problems, biological dentistry places more focus on helping individuals achieve a desired level of health. We understand that your mouth is a vital part of your body. If you are in the Boone, NC area and this sounds like the type of dentistry you are looking for, you’ve come to the right place. There is nothing inherently wrong with traditional dentistry. All dentists must go through the same rigorous training to be able to diagnose and treat conditions of the mouth. The difference between the two is ideologically based. When you visit a traditional dentist, typically you are trying to solve a problem (a painful tooth, a cracked tooth, crooked teeth, etc.). As such, a traditional dentist will find a solution, fix the problem, and move on. A biological dentist will take a deeper look into the root cause of the problem and how this could impact overall wellness. Biological dentistry is traditional dentistry with enhancements. One of the key pillars of biological dentistry is the use of safe materials. Biocompatibility is important in biological dentistry. We want to make sure that any material we use in the mouth will not have adverse effects on health. As a biological dental practice, we are mercury- free which means that we do not place silver amalgam fillings. Amalgam fillings are made of a mixture of metals that can contain up to 50% mercury, a known neurotoxin. Instead of placing amalgam fillings, we use composite resin fillings which are a tooth-colored, biocompatible alternative. We are also a mercury-safe dental office which means that our team is trained to safely remove amalgam fillings in order to replace them with a biocompatible alternative. Following protocols from the International Academy of Oral Medicine and Toxicology, we take step by step safety measures when removing amalgam fillings. These measures which include using alternative air sources, high volume suction, rubber dams, proper disposal, and others ensure the safety of the patient and staff. We always consider the impact on long term oral health before recommending any treatments. When patients have a problem in the mouth, we are careful to consider the cause and how it may be related to underlying health issues. Periodontal disease is one condition that can have a large impact on overall health. Over time, the bacteria from periodontal disease can spread to the bloodstream and can increase the risk of certain conditions such as heart disease, kidney disease, and diabetes. The entire goal of biological dentistry is to improve overall wellness so patients can enjoy a healthier life. Patient education and prevention is another focus of a biological dentist. We encourage all our patients to maintain regular dental exams and cleanings so we can monitor the health of the mouth and identify any problems early. We also encourage all our patients to adopt healthy lifestyle habits such as proper nutrition, quitting smoking, and practicing consistent oral hygiene at home. Virtue Dental Care is committed to providing high quality biological dental care that takes into account the health of the entire body. If you live in Boone or the surrounding areas and would like more information on our approach to health and wellness through dentistry, we invite you to call us at 336-606-0040 to request an appointment today.